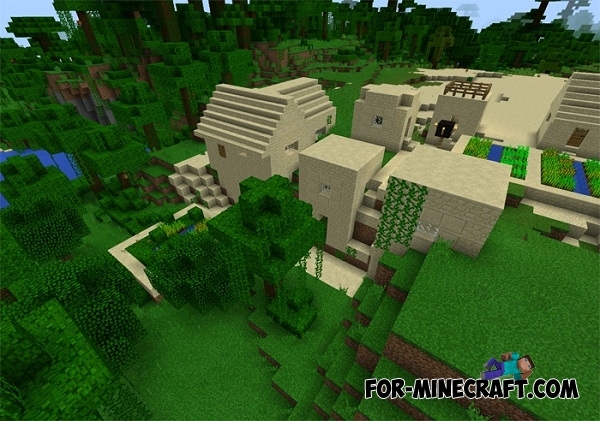 This seed will open in front of you is quite a rare phenomenon in the world of Minecraft PE 0.11 - a village in the center of the jungle. You will find yourself in village that is hidden in the bush and located on the sand. You can see it in the image below. This village is divided into two parts. Honestly, will be difficult to find this place. 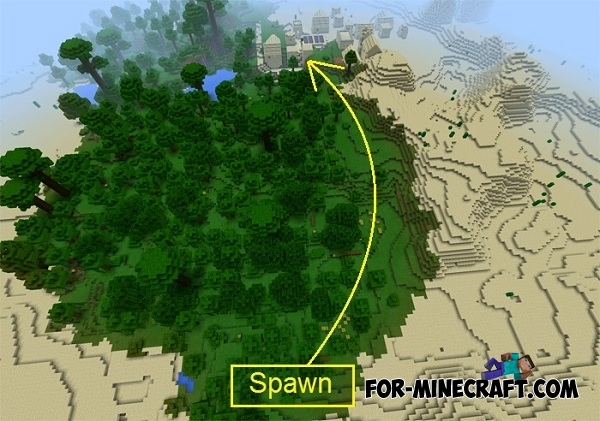 In the picture you can see your spawn. Just turn left and follow in the direction as marked in the picture. 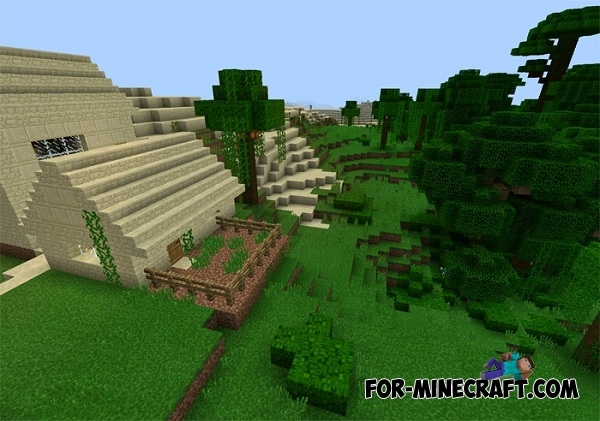 Settlement in the mountains for Minecraft PEAs soon as you spawn in the world, you will see a settlement. The village is divided in two biomes. There is a dungeon in the desert cave just to the left of the spawn point with a skeleton spawner, and a zombie spawner much further in. This cave goes down to within 10 blocks of the bedrock, and during my exploring I found diamonds and lapis without much trouble. If you follow the nearby river you will shortly find a savana. If you travel the edge of the savanna with the desert on your right, you will come to a savanna village with a blacksmith. Correct that, desert to the left, not right as in the above comment. The skeleton spawner is right near the entrance, the entire roof is sandstone.